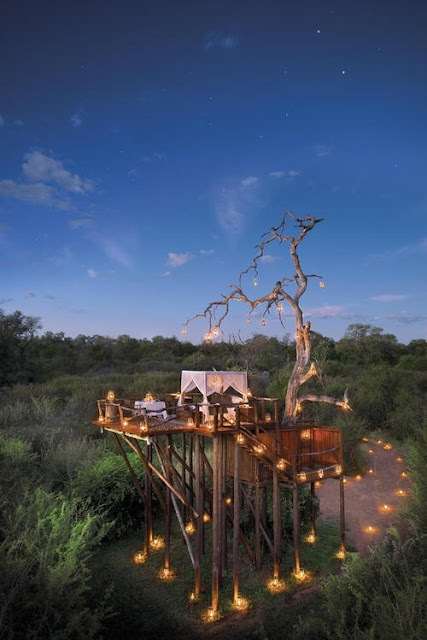 Tree houses, or tree forts, are platforms or buildings constructed around, next to or among the trunk or branches of one or more mature trees while above ground level. Tree houses can be used for recreation, work space, habitation, observation or as temporary retreats. In some parts of the tropics, houses are either fastened to trees or elevated on stilts to keep the living quarters above the ground to protect occupants and stored food from scavenging animals. The Korowai, a Papuan tribe in the southeast of Irian Jaya, live in tree houses, some nearly 40 metres (130 ft) high, as protection against a tribe of neighbouring head-hunters, the Citak. Tree houses can be built with a wide range of materials. Wood is commonly used for structural parts and cladding due to its strength, light weight and low cost. Steel is used for brackets, cables and bolts, including specialized tree bolts capable of supporting up to 6,000 pounds (2,700 kg). Builders of tree houses sometimes use recycled materials or parts, such as reclaimed window frames, doors and used lumber. Fabrics can be used to produce non-rigid temporary structures that are more like tree tents than tree houses.